NGC 7635, also called the Bubble Nebula, Sharpless 162, or Caldwell 11, is a H II region emission nebula in the constellation Cassiopeia. It lies close to the direction of the open cluster Messier 52. 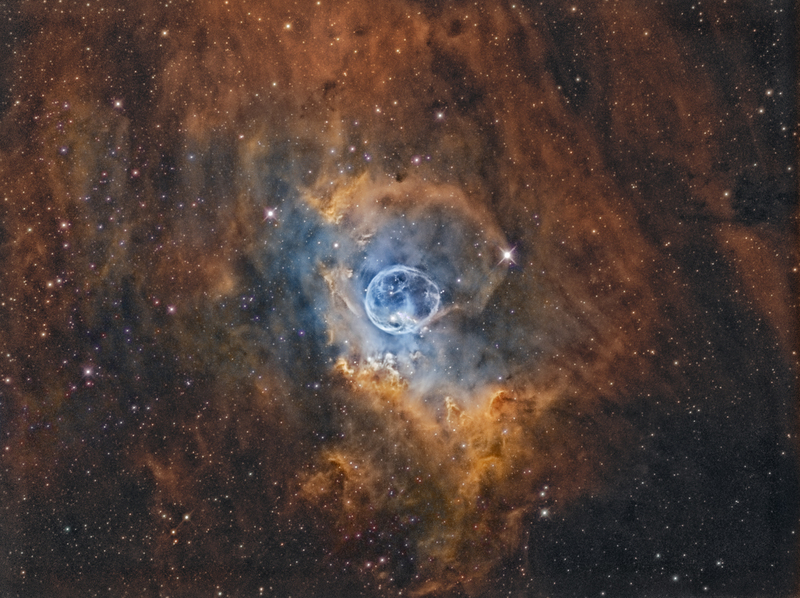 The "bubble" is created by the stellar wind from a massive hot, 8.7 magnitude young central star. The nebula is near a giant molecular cloud which contains the expansion of the bubble nebula while itself being excited by the hot central star, causing it to glow. It was discovered in 1787 by William Herschel. 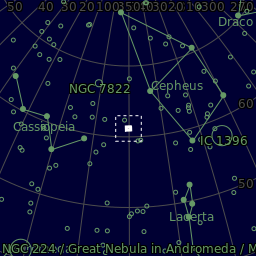 It is located approx 7800 light years away. C: QSI683 ws-g with 3nm narrowband filters. 25.5 hours total integration time. This was taken with a different telescope than the image above. 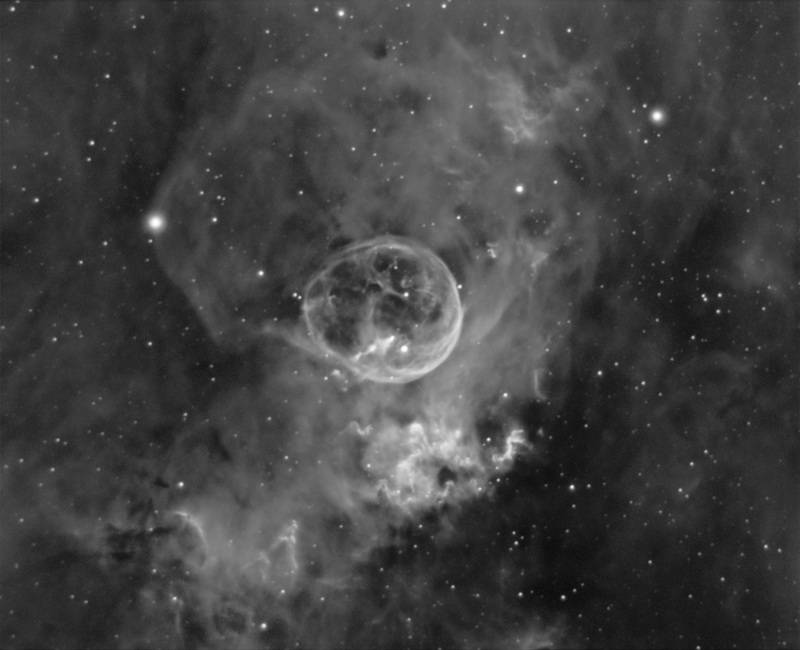 55x1800s Ha totalling 27.5 hours of data.